Making Tax Digital is a key part of the government’s plans to bring tax reporting up to date and make the UK’s tax system one of the most digitally advanced tax administrations in the world. The digital tax system will transform how HMRC deal with businesses and individuals. The new system will make it easier for its customers to get their tax right and keep on top of administration. What does Making Tax Digital mean for business? HMRC will collect and process the information in real time. Quarterly processing means there is much less chance of big tax bills building up. It will enable businesses to keep a closer tab on tax and plan strategically to lower tax bills. Businesses will be able to see the information HMRC holds about them and check that all details are correct, as well as see a single picture of liabilities and entitlements all in one place. You will be able to view your comprehensive digital tax account in the same way as online banking. The Digital Tax system will make it easier for businesses to ensure their tax is right and reduce avoidable errors. Digitalising the routine task of tax returns will save businesses time. Certain information will flow automatically into your digital tax account, such as some bank data and information from other government departments. You will need to submit returns through an HMRC app or using online accounting software that connects to HMRC through their API (Application Programming Interface) platform. The current online system will be withdrawn for all businesses within the scope of the Making Tax Digital rules. The first tax selected for digitalisation in the UK is VAT, which is due to take effect from 1 April 2019. This will only apply to businesses who have a turnover above the VAT threshold. Income Tax and Corporation Tax won’t be digitalised until 2020 at the earliest. Numeric Accounting offer a whole range of cost-effective accountancy services and packages to suit businesses of all sizes from start-ups to large corporates. Our experienced team of accountants can assist with all areas of tax administration, including planning and implementing the systems required for tax digitalisation. We are fully up to date with HMRC’s Making Tax Digital plan and can help any business, whatever its size, to make the transition. We use the UK’s leading online accounting software, Xero Accounts, for all of our clients, which is fully compatible with the HMRC system’s API. We can help your business prepare for the transition to digital tax and assist or oversee the implementation of the correct accounting software and give you the peace of mind that your business is fully tax compliant. Traditional accounting software works on one or a few computers. Only select users have access, meaning key people can’t see the real-time financial information they need to make strategic business decisions. With traditional accounting software keeping and storing back-ups is costly and it is expensive to upgrade. Cloud-based Xero software can be used from any device with an internet connection. It means your business has easy access to the financial data it needs when it needs it. Xero is scalable, cost effective and easy to use. Importantly, it is compatible for connection with HMRC. Making the accounting processes in your business more efficient will save your business both time and money. With Numeric Accounting your transition to Making Tax Digital couldn’t be simpler. All of our accountancy packages come with Xero software, including set-up and a training webinar. For accountants you can trust, get in touch with our professional team. 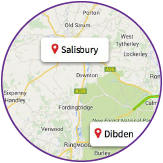 We have offices in Salisbury, Wiltshire and Dibden in Hampshire. Call us now on 01722 334888(Salisbury) or 023 8084 4242 (Southampton) and one of our team will help you make the transition to Digital Tax smoothly and efficiently. Making Tax Digital couldn’t be easier than with Numeric Accounting. If there are services you would like to add or remove from our standard packages or you require a more bespoke accountancy package that better suits your needs then we are more than happy to provide you a separate quotation. For more information and to discuss the package and services that best suit your business or organization, please get in touch.